I love how a great leather chair can ground your living room decor (or any space for that matter) and be a great focal point. I’m of the opinion that if you have a fabric couch, a leather chair balances it all out and remains as a great statement as opposed to competing with the rest of your items. Plus, some leather chairs can be reeeeally expensive so if you dropped some serious cash it should make a good statement in your space, right?! 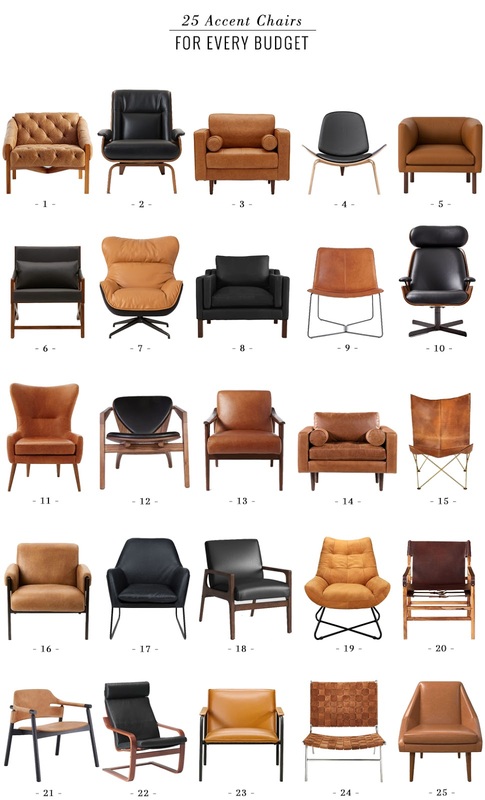 I was recently looking at leather chairs and I ended up with so many options that I decided to round them up all together in case any of you is looking for a great accent chair, so here you have 25 leather chairs for all budgets and decor styles!